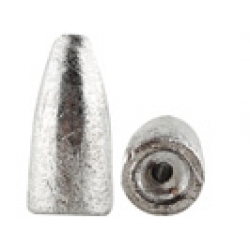 Our Sliding Worm weight is the classic bullet shape. Great for Texas rigged plastics. Can be pegged for fishing in heavy cover.